One of the cool things about living in a city like Detroit is that one is constantly bumping into some amazing people at random places. 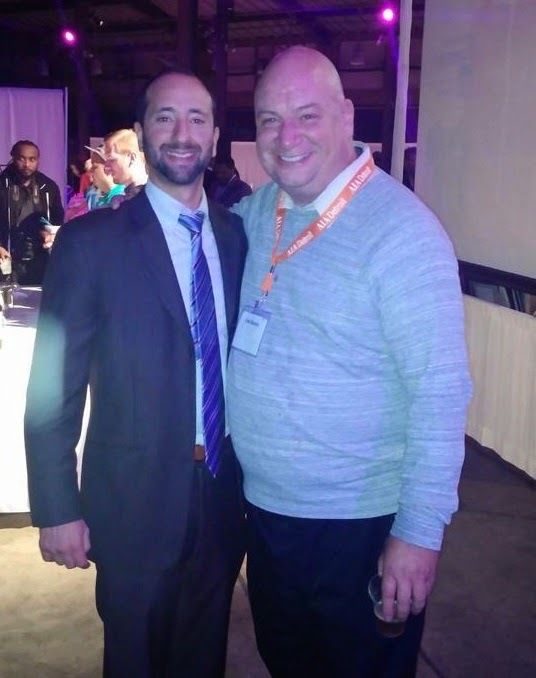 For example, this past Thursday evening, I ended up meeting Council Member Gabe Leland, who represents the Warrendale and surrounding neighborhoods, at the 2014 Celebration of Architecture event at Eastern Market. The event is presented by the Detroit chapter of the American Institute of Architects and celebrates the accomplishments of some the finest architects and designers in southeastern Michigan. It was also one of the many events that happened last week as part of the Detroit Design Festival. Leland, of course, chairs the City Council's Planning and Economic Development Committee.